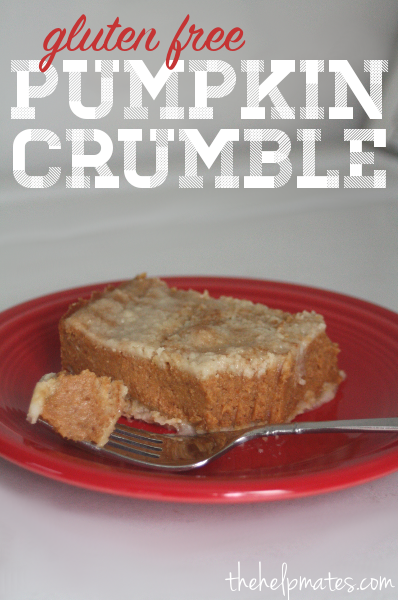 This is a great recipe for the holiday season, since it’s gluten free and very easy to make. It’s good to make for a crowd because it makes about as much as two pumpkin pies would. Also, any leftovers make a great breakfast! Preheat your oven to 350 degrees. 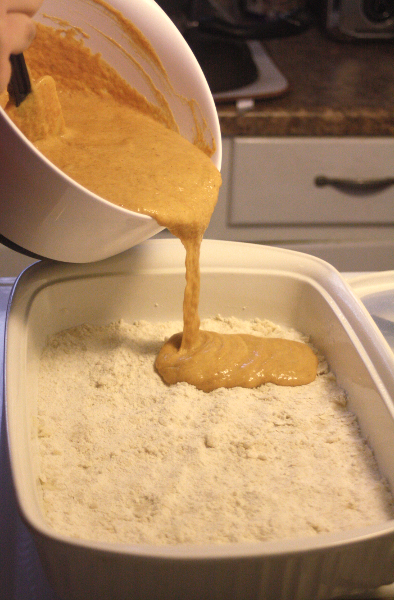 Use your hands to mix 2 cups of the dry cake mix with 3 Tbsp butter, and press that mixture into the bottom of a 13×9 inch baking dish. 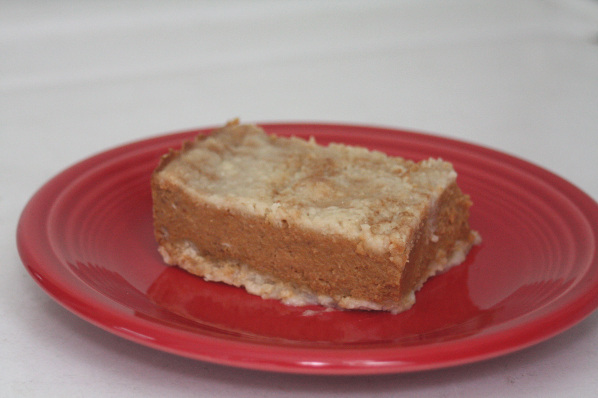 Next, mix the pumpkin, sweetened condensed milk, eggs, 2 Tbsp butter, and the spices in a large bowl. Pour the filling mixture into the baking dish. Top with remaining cake mix. 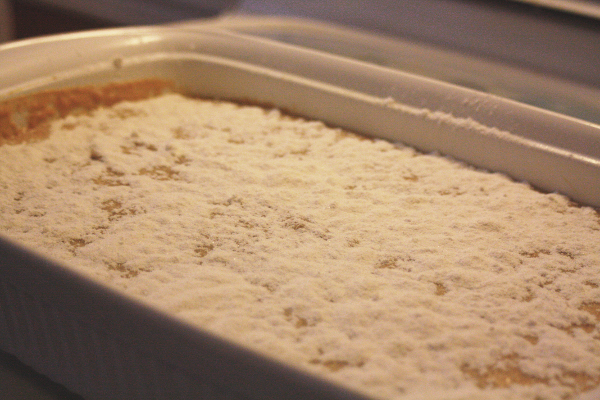 For the last step, drizzle 3 Tbps of melted butter on top of the cake mix, and bake it for 45 minutes to an hour. Then, out comes hot deliciousness – happy eating! Photobucket: Please Excuse the Mess!